From the very first days of aviation, women were there. Katherine Wright, though not a pilot, helped her brothers Orville and Wilbur so much that some called her the "Third Wright Brother". Pioneers such as Baroness Raymonde de Laroche of France ignored those who ignorantly claimed that only men possessed the physical strength or the mental capacity to pilot an airplane, and in 1910 became the first woman awarded a license to fly. A year later, Harriet Quimby was the first woman to earn a pilot's license in the United States and in 1912 flew across the English Channel -- another first. 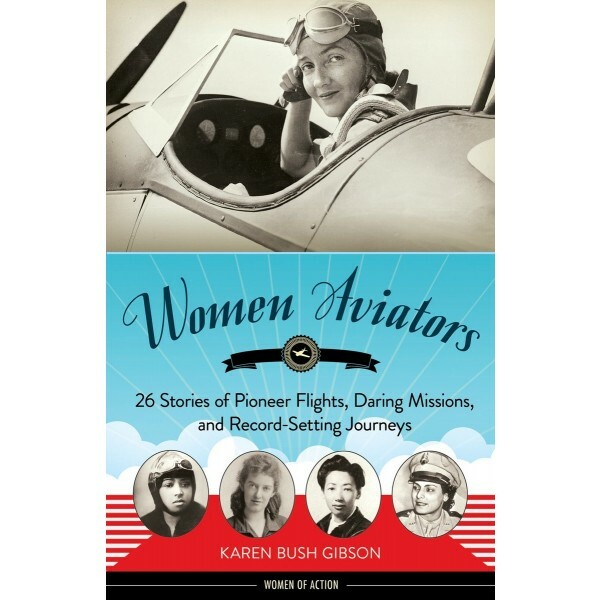 In Women Aviators: 26 Stories of Pioneer Flights, Daring Missions, and Record-Setting Journeys author Karen Bush Gibson profiles 26 women aviation pioneers who sought out and met challenges both in the sky and on the ground, where some still questioned their abilities. For more stories about women in aviation, visit A Mighty Girl's Planes section. Read about barnstormers like Bessie Coleman and racers like Louise Thaden, who bested Amelia Earhart and Pancho Barnes to win the 1929 Women's Air Derby, sometimes called the Powder Puff Derby. Learn about Jacqueline Cochran who, during World War II, organized and trained the Women Airforce Service Pilots -- the WASPs -- to serve their country by ferrying airplanes from factories to the front lines and pulling target planes during anti-aircraft artillery training. 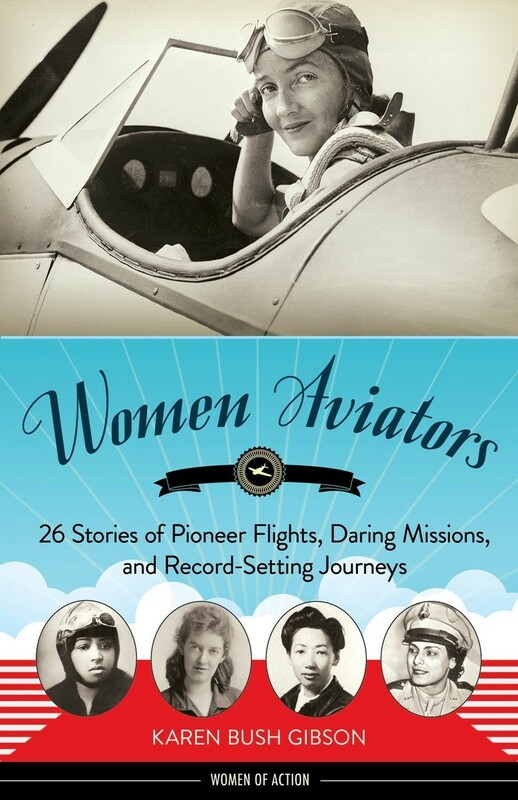 And see how female pilots today continue to achieve and serve while celebrating their love of flight.